『미·중관계 세미나』 No. 33. 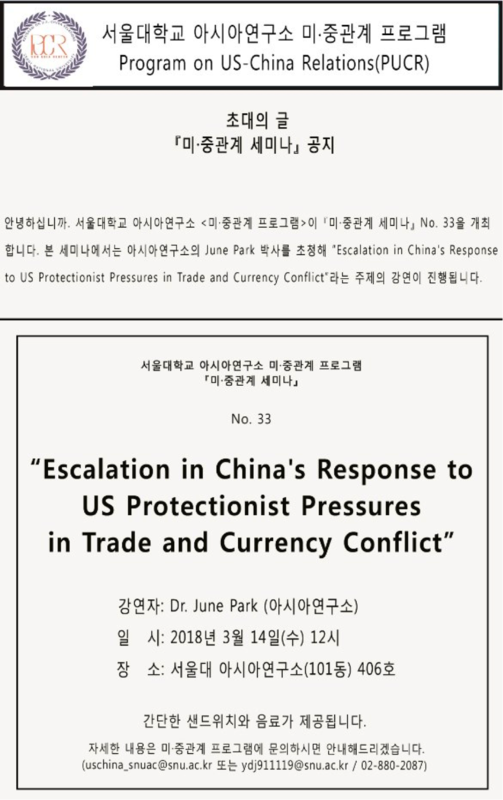 "Escalation in China's Response to US Protectionist Pressures in Trade and Currency Conflict"
『미·중관계 세미나』가 아래와 같이 개최됩니다. 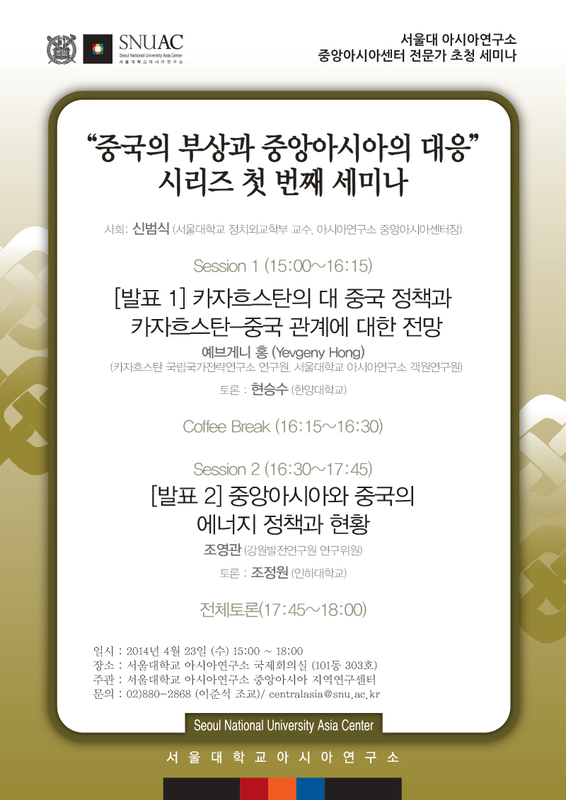 □ 간단한 샌드위치와 음료가 제공됩니다.